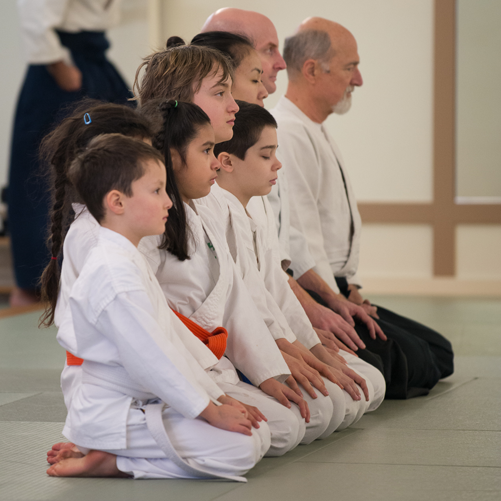 By practicing Aikido, children acquire important life skills, as well as physical fitness and coordination. They learn the value of focus, teamwork, and discipline – not as abstract concepts, but through hands-on experience. Our children’s program is designed for kids 6 to 13 years old. 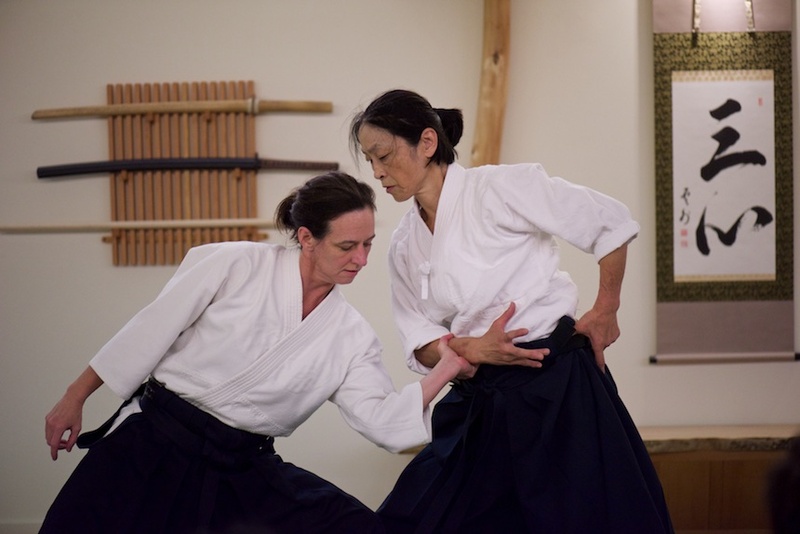 Teens are welcome to join our adult classes. There are three kids’ classes per week: 5 to 5:45 PM Mondays and Thursdays, and 9 to 10 AM Saturdays. Testing is held on a quarterly basis. Monthly membership dues are $80 per month. For new students, we offer a beginner’s package, which includes two month of classes and a training uniform (a $50 value) for $120.